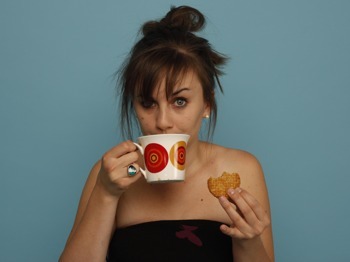 Award-winning comedian and host of the CineMastermind podcast Laura Lexx helps us settle a debate that goes all the way back to the very first cuppa that was stewed a little too long and severely displeased a Chinese emperor. We reveal tales of daring disguise by swashbuckling colonialists, the hitherto little known practice of tea duelling and the astonishing number of different digestive systems posh people like to have their tea leaves past through before they actually drink the stuff. Roll us out, cover us in flour and watch us rise, in a very tasty episode featuring AN ACTUAL GREAT BRITISH BAKE-OFF WINNER - it's Edd Kimber aka The Boy Who Bakes! Pressing our fingers into the soggy bottoms of food history we discuss tacky wedding cakes, psychedelic bread, Nazi bounty hunters and the man who started the Great Fire of London but blamed anyone else he could find. POP! Smell our cork, relish our bouquet and admire our legs because it’s a VERY good year for a podcast about the World’s Worst Wine. We’ve got a guest with a very fine nose to help us find it: wine expert, consultant, educator and host of ITV’s ‘The Wine Show’ Amelia Singer. Ben and Barry knock back a few choice bottles of grog including the leavings of monks, a moldering ancient Roman concoction and some delicacies involving not one, not two, but THREE penises, while Amelia practically challenges a blue nun to a fight. It’s a vintage episode - but remember, please enjoy Worst Foot Forward responsibly. Knock back a raw egg, fetch another pail of Bloody Mary and get ready to talk to Ralph on the big white telephone as we uncover the history of the worst hangovers of all time. We're joined by actress, comedian and disability campaigner Georgie Morrell as we disclose our worst indignities - involving Red Setters, hiking boots and Scottish tramps - as well as PG Wodehouse's classification system for hangovers, the real man to blame for Abe Lincoln's assassination and an incredible story involving 400 mythical Aztec bunny rabbits. One hell of a morning after the night before! Richard Maxted, mixologist and proprietor of bespoke cocktail purveyors Mix & Muddle, joins us to help us separate our highballs from our Long Island Ice Teas as we search for the worst alcoholic concoctions in history. We discover the answer to the question 'Who is Tom Collins? ', learn the dirty secrets of the dirty martini and marvel at humankind's ingenuity for drinking literally ANYTHING when push comes to shove. Serving up a real feast for the ears, character comedian and improviser Fiona Sagar leads us into some less-than-salubrious eateries. On the menu are disastrous curries, the heart of a saint, chicken with ball bearings and a flood of molasses, all presented by celebrity chefs from Typhoid Mary to Paul Hollywood. So tuck in - if you dare.